Our SNAP program allows customers to use their EBT cards at the market, and provides an up to $10.00 match every market visit to use in purchasing fresh fruits and vegetables. 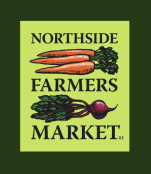 If you would like donate to support our SNAP program, please send a check made out to the Northside Farmers Market to us at c/o CAIN, 4230 Hamilton Ave, Cincinnati OH 45223. If you'd like to learn how to use your SNAP benefits at the market, scroll down! ACCEPTED EBT items include: bread, cereal, fruit, jams, jellies, honey, fermented foods, juice, tea, coffee, vegetables, herbs, meats, fish, poultry, dairy products, seeds and plants which produce food for the household to eat. NOT ACCEPTED EBT items include: beer, wine, liquor, cigarettes, tobacco, pet food, soap, paper products, household supplies, vitamins, medicines and hot/prepared foods such as sandwiches, pizza, wraps, dispensed coffee, dispensed tea, cider, cut flowers, ornamental plants, soap, art & crafts and any non-consumable Items. EBT TOKENS may not be exchanged for cash. The market can refund to your EBT account unused tokens, or just save and use next week! Produce Perks Tokens may only be used to purchase fresh fruits, vegetables, and edible plants. Ohio Direction Card customers can now receive double value (up to $10) in market tokens when shopping with their EBT card at the market! Produce Perks are incentive tokens given to customers at participating farmers’ markets who use an Ohio Direction Card (Electronic Benefits Transfer or EBT card) to purchase food. A customer wishing to use food assistance benefits can swipe their card at one central terminal, located at the information booths, and ask to withdraw a desired amount. The market provides tokens for the transaction and additional Produce Perks that can be spent on fruits and vegetables. The incentive is a dollar-for-dollar match for up to $20 using an Ohio Direction Card at the market. As the name suggests, Produce Perks are only good for purchasing fruits and vegetables. All other tokens purchased with the Ohio Direction Card are good to use on eligible items at the market. There is no minimum purchase amount to qualify for the incentives; and Produce Perks tokens can be used at all six participating markets.